Welcome to St. Joseph’s Catholic Primary School. We are very pleased that you are taking time to find out about our school. We hope the information given in this website will be helpful in providing information about the school. We are very proud of our school and all it has to offer. St. Joseph’s is a loving, caring community, with well-behaved, eager and talented children. The staff are committed, enthusiastic and have high expectations. The school is vibrant and welcoming. We have a positive ethos of learning and achievement, based on our belief that each child is special and unique. We have strong links with St Joseph’s Church and St Joseph’s Pre-School. The school is set in an attractive extensive site, with bright classrooms, lovely playgrounds and playing fields with far-reaching views across Harrogate and beyond. Before and after school care is provided on site by St. Joseph’s Grangers. Inevitably, the website can only provide a limited “feel” for the school; a visit in person would give you a chance to see everything that is wonderful about our school. Please do not hesitate to arrange a visit. You will be warmly welcomed. Help us to look after our school and one another as you did the Holy Family. Help us to always respect others, to do our best, to believe in ourselves and to make the most of every opportunity to learn and grow. 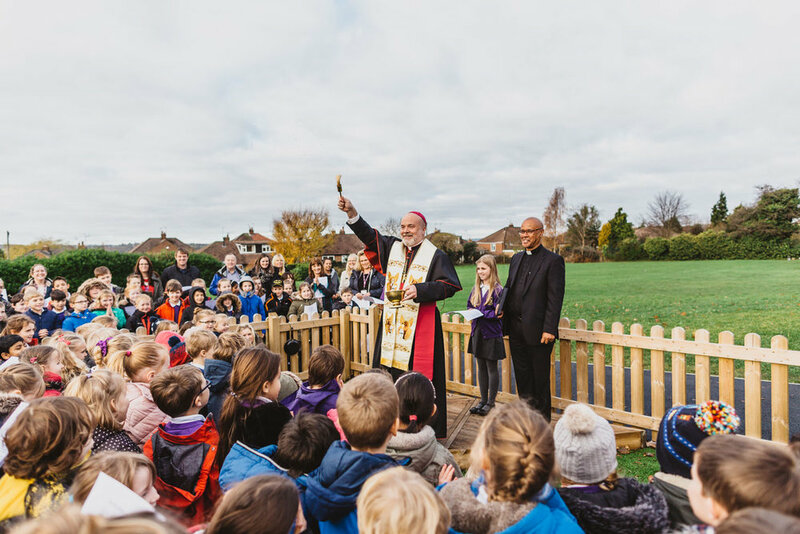 Thank you for our school – for the spaces that we have to help us learn and play. Thank you for all the children who learn here and for those who teach us, support us and care for us. Help us to be better friends to one another and may our school be a place of peace and happiness.